Quality is everything: Legno Bastone was founded in the late 1800’s by the same family that runs the company to this very day. Over the years, we have optimized and expanded our production process, but we have never abandoned the age-old European traditions of craftsmanship when it comes to our floors. Every single floor is hand-crafted and custom designed; regardless of whether it is a well-appointed home, a castle or a modern minimalist urban apartment, irrespective of whether the address is in Europe or coast to coast in the USA. The wood behind Legno Bastone Wideplank Flooring: Legno Bastone gets raw wood from the best forests in Europe, which have been nurtured for generations for the benefit of society and the environment. The trees we select are generally over 150 years old and have been meticulously cared for throughout their existence. We make precise uncompromising demands regarding grains, knots and structure. We accept only the best logs which we use with the greatest respect possible. Any other approach would be an injustice-both to the trees and to all the forest workers who have taken care of them for centuries. We take it personally: When we are contacted about a project we focus strictly on the wants and needs of the client. Species, custom designed finish and appropriate width are carefully analyzed. Once the project is ready and specified we start by selecting the perfect planks so they can be processed in just the right manner. For five generations, the activities for each project have been the same in processing and finishing. 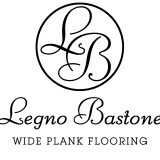 This is one of the secrets behind the long life of Legno Bastone Wide Plank Flooring. Once the floor has been completed and installed, you will be able to enjoy Legno Bastone’s lovely wood, conscientious workmanship-and more. Quickly you will join others that refer to our floors as “Custom Designed Furniture for Your Floor.” The fact that our interest does not end here, we will gladly continue to advise you on the use and maintenance for your Legno Bastone Floor in the years ahead. We do this out of respect for the wood that has been in our care which is now lying at your feet. Exclusive online dealer of high quality Amish made hardwood flooring made in the USA; 3/4 inch engineered and solid. Color matching services offered along with unlimited mill work to compliment our hardwood floors. 500 square foot minimum. At some point in everyone’s life, there comes a time to demand the absolute best there is. When it comes to hardwood flooring we are proud to offer our customers the widest variety of European French Oak in the county, we have master the oil finish like no other artisan, we understand our customers needs. Explore the extraordinary selection of best floors from around the world and discover why nobody compares to Naples Flooring Company. Quality is everything: Legno Bastone was founded in the late 1800’s by the same family that runs the company to this very day. Over the years, we have optimized and expanded our production process, but we have never abandoned the age-old European traditions of craftsmanship when it comes to our floors. Every single floor is hand-crafted and custom designed; regardless of whether it is a well-appointed home, a castle or a modern minimalist urban apartment, irrespective of whether the address is in Europe or coast to coast in the USA. The wood behind Legno Bastone Wideplank Flooring: Legno Bastone gets raw wood from the best forests in Europe, which have been nurtured for generations for the benefit of society and the environment. The trees we select are generally over 150 years old and have been meticulously cared for throughout their existence. We make precise uncompromising demands regarding grains, knots and structure. We accept only the best logs which we use with the greatest respect possible. Any other approach would be an injustice-both to the trees and to all the forest workers who have taken care of them for centuries. With nearly two decades of experience, The Wood Floor Company is your one stop shop for flooring, specializing in wood, tile, stone, carpet, inlays, & custom area rugs. Our expert flooring team comes highly trained to install any floor with confidence. We also specialize in wood floor refinishing and custom finishes. Debating cost over quality is never easy. The Wood Floor Company has the knowledge, craftsmanship and tools to help you achieve a timeless addition to your home at a price that works. With so many big box stores selling at liquidation pricing, it is increasingly important to work with a specialty company in our niche market. Wood flooring is a unique product that requires special attention in our tropical climate. Wright Flooring Inc. has been satisfying the laminate and hardwood flooring needs of customers in Fort Myers, Cape Coral, Lehigh Acres, Bonita Springs, Punta Gorda, and Port Charlotte for over 16 years. The owner, Alan Wright, personally works with every client with unprecedented attention to detail from beginning to end. From the start to finish, Wright Flooring, Inc will provide you with service and experience beyond compare, assuring that you will be delighted with your decision and new floors for years to come. Wright Flooring, Inc does not use subcontractors – all installations are performed by in-house professionals. Unprecedented attention to detail and superior customer service is why more people choose, and recommend, Wright Flooring, Inc. Wright Flooring, Inc only uses brand name products and guarantees the best prices – WE WILL BEAT ALL COMPETITOR’S PRICES! Nobody can beat us on price, quality, or service. For the laminate or hardwood floor that you want – call or stop in today and choose from the best! Welcome to Wilderness Furniture and Floors. 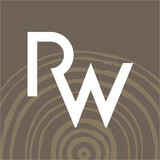 We are a locally owned and operated Flooring Supplier, Flooring Installer, and Custom Outdoor Furniture creators. We are a family owned business that prioritizes in offering the best available prices, services, and outcome to everyone that we are lucky enough to do business with. We offer Carpet, Laminate, Luxury Vinyl, Tile and Wood flooring, with free 24 hour estimates, no cost at-home delivery and in-house installation. For Outdoor Furniture we specialize in Adirondack style chairs, Side Tables, Ottomans, along with the experience and facilities to create anything you can dream of. 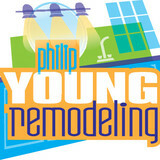 Serving Southwest Florida with a dedicated work ethic and commitment to craftsmanship. Offering custom wood floor and laminate installation and dustless refinishing. GEM Flooring has been in the flooring installation business for over 10 years. We install wood, laminate, cork flooring and remove your old floors dust free. Our priority is customer satisfaction. *Authorized Mohawk Dealer* As your STAINMASTER Flooring Center, Wayne Wiles Floor Coverings strives to make your home a beautiful, comfortable environment for you and your family. For over 25 years, Wayne Wiles has provided Southwest Florida with the best products and services available in the industry today. Our experienced sales staff is trained and certified to give you the assistance you need. Across the United States, an elite group of flooring retailers have been chosen to be STAINMASTER Flooring Centers™ based on their high standards and commitment to customer satisfaction, shopping experience, selection and service. STAINMASTER Flooring Centers are proud to be your premier source for the ultimate selection of STAINMASTER carpet, where you can shop with confidence knowing that your carpet, and home, will look stylish for years to come. Commercial Floor Covering $1,000 to $2,000,000. Custom Floor Covering $500 to $2,000,000. New Home Floor Covering $1,000 to $250,000. ReModel Floor Covering $500 to $250,000. Bathroom and Walls $500 to $50,000 Kitchen Backsplash $500 to $10,000 Wayne Wiles has a vast selection of stylish STAINMASTER carpet, including their exclusive STAINMASTER ULTRA LIFE® carpet, their top-of-the line carpet covered by warranties that will replace your carpet if it stains. STAINMASTER ULTRA LIFE® carpet is available only at The STAINMASTER Flooring Center dealers. Our showroom has been newly remodeled by professional store planners. The simple good-better-best buying system of a STAINMASTER Flooring Center makes it easy for you to understand performance so you can focus on finding the right color and style for your home. Whether you're in Fort Myers, Naples, Bonita Springs, Estero or Cape Coral, you find a complete selection of carpet, ceramic tile, stone, wood and laminate flooring at Wayne Wiles. Plus the experienced flooring professionals at Wayne Wiles can save you money. A vast majority of people find that flooring from Wayne Wiles is actually less expensive than the "big box" retailers. It really pays to shop at Wayne Wiles. House Of Carpets Discount Carpet Naples House of Carpets has been family owned and operated in Naples, Florida since 1972. We are dedicated to providing exceptional customer service in a relaxed environment. All of our installation work is done by our in-house staff who has been with us for 10-15 years. 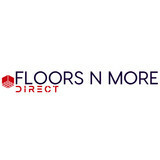 We have an extensive selection of carpet, tile, and wood to suit your lifestyle, decor, and budget needs. Whether you need flooring for a new home, are remodeling a shower, or want to freshen the look of one room or your entire house, we are dedicated to helping you enhance your living space with our quality carpet, tile, and wood. Production Flooring, LLC is start business in Naples, Florida since 2000 ,But is been in New York Area since 1985. Combine our company is been in the flooring business for 39 years. We have Good People, Great Service, and Excellent Prices. Experience has given us great knowledge and the ins and outs of the business. We’ll take the time to ensure you have the best flooring solutions for your home and lifestyle. We may be located in an industrial park, but you will be treated like a VIP in a 5th Avenue shop. Flooring Specialists We’ve learned quite a bit about helping people select the best thing for their home, whether they want Carpet, Vinyl, Wood, Tile, Laminate or any other type of flooring. Most importantly, we’re small enough to give you the attention you need, before, during or after the sale is made. Remember, you’re dealing with the owner, and we can fix things Stop in to see our other features for you home, such as Splash Guards for your tub, customized tiling, and a whole host of other specialty items that may be perfect for your home. What kinds of services do hardwood flooring installation professionals in Marco Island, FL provide? Find hardwood floor experts in Marco Island, FL on Houzz. Search the Professionals section for Marco Island, FL hardwood flooring installers and dealers or browse Marco Island, FL photos of completed installations and look for the professional’s contact information.